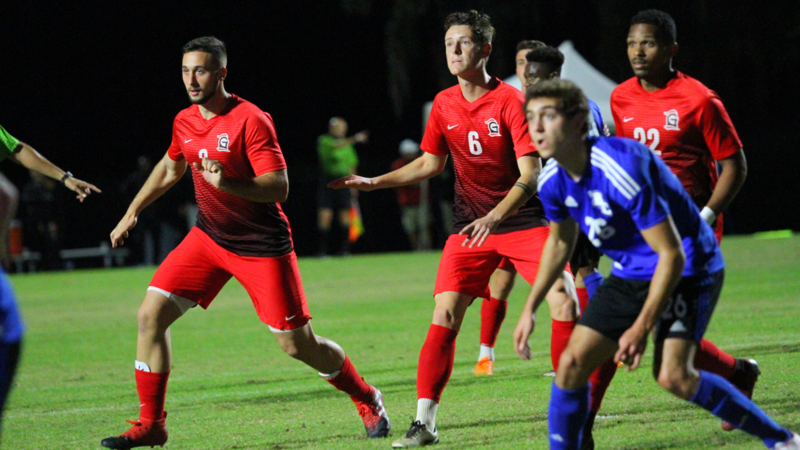 KISSIMMEE, Fla. – Grace’s men’s soccer team’s dream of a national championship came up one game short. The Lancers lost 1-0 in overtime to Bethel, losing in the semifinals of the NCCAA National Championships on Friday. Grace excelled in several facets of the game, but the Lancers struggled to find its finishing touch. For the match, Grace was limited to nine shots in 98 minutes of play. None of Grace’s shots were on target, however. The Pilots (14-8-1) scored a golden goal winner nine minutes into overtime to reach the national championship game. The goal spoiled an otherwise remarkable game from Grace’s goalkeeper Kurt Hamlin. Hamlin made several key saves in the second half as the Pilots’ pressure intensified. The first half was a battle in the midfield. The sides were patient offensively, as each team was deeply familiar with each other’s personnel and style of play. Grace had the better part of possession before halftime, but the Pilots did their part to limit goal-scoring opportunities. The Lancers (15-4-4) shot four times with a corner kick, and Bethel could muster only two shots before halftime. For much of the second half, the story was the same as the first half. Grace had much more time in possession of the ball, but the Lancers’ truly threatening chances were few. Grace had its best chances on set pieces. Breno Oliveira was dangerous on free kicks, and Ulisses Miranda had a few shots as well from outside the penalty box. Bethel found its niche on offense, striking at the Lancers on counters. The Pilots had three shots in the final five minutes of regulation but came up empty, including a key save by Hamlin. The teams entered overtime deadlocked in a scoreless tie.